My friends at Driving the Northeast invited me to another “Drive a Chevy and Eat Some Free Food” event. 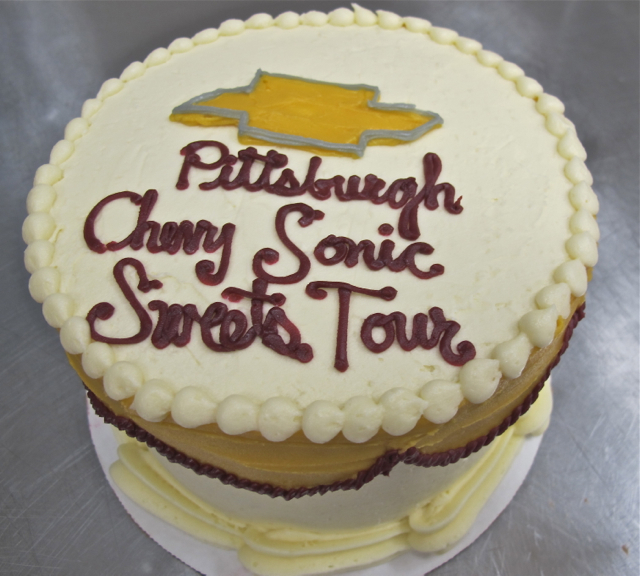 This time, they were promoting the Chevy Sonic and treating us to sweets. The premise: we drive the Sonics to Sugar Cafe, Dozen Bakeshop, and Gluuteny. Then, we write about the good times we had with General Motors. I didn’t drive a Sonic. Instead, I was able to drive a Volt. It was sitting there, looking like it was going to remain in the parking lot where we met to start the tour, so…me being me, I asked if I could drive it. They said I could. Wicked. I’m a big fan of innovation, and a hybrid gas/electric vehicle represents a big leap forward in transportation sustainability. They did a pretty terrific job with this car; aside from how quiet it is, you’d never know it was running on electricity. 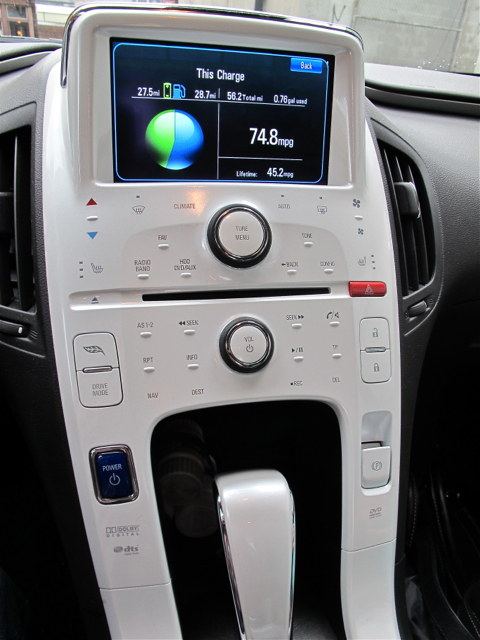 The Chevy Volt is no golf cart, either–it actually drives like a real car. 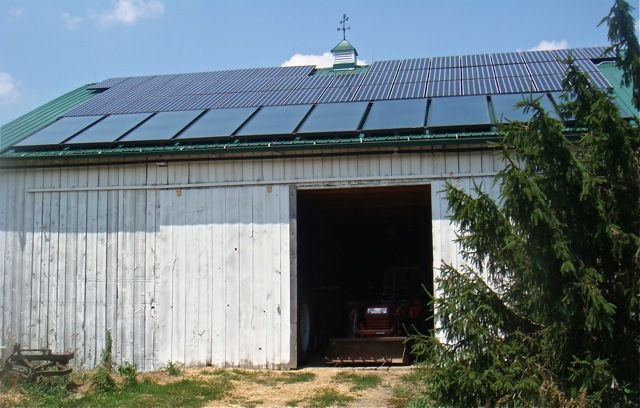 This is important to me–I believe the path forward to convincing people to adopt a more sustainable lifestyle isn’t about telling people “NO! Bad things! Do without,” but rather “Good! Yes! You see how this is better than the unsustainable thing you’re doing because it’s the thing you’re used to doing?” If I had a parking spot with an electrical outlet and $41,000 to spare, I’d be all over one of these cars. Well done, American Auto Industry! Enough about cars. The first stop of the tour was Sugar Cafe. 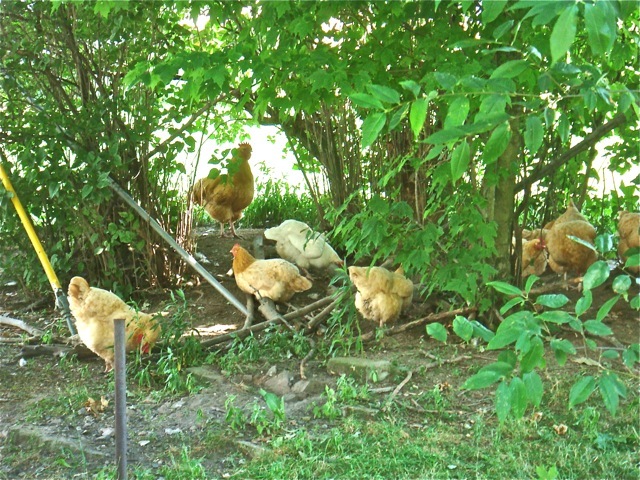 It’s located in Dormont, an up-and-coming Pittsburgh community. 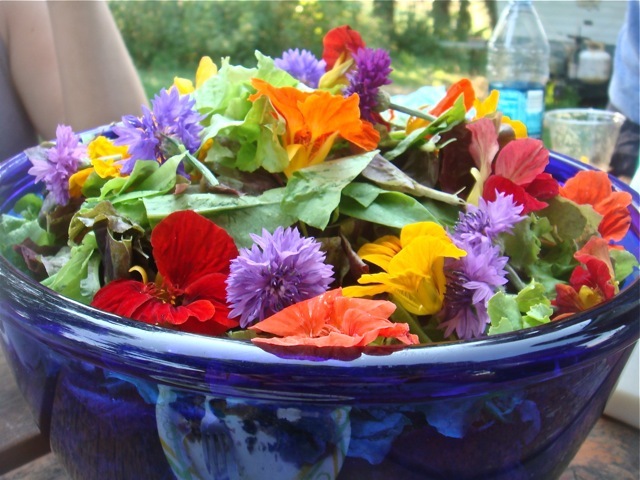 My friend Cory takes people on food tours there–you should go on one. 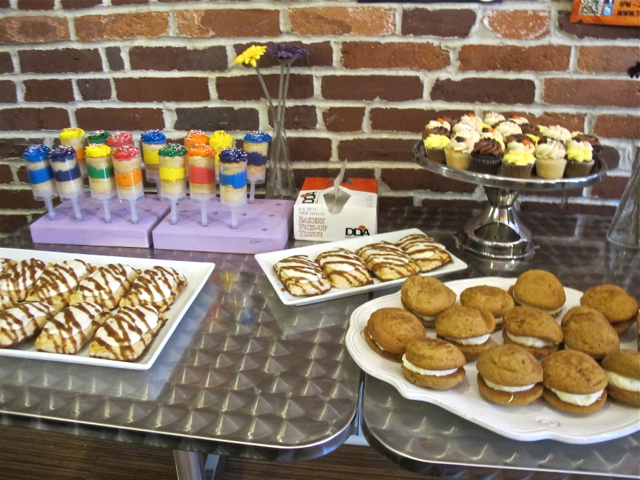 But if you’re just interested in a tasty snack, you can’t go wrong with Sugar Cafe. They serve a selection of sandwiches, La Prima coffee, and of course there are many many sweets. The lemon pound-cake was the highlight of our sampling; it’s tart and buttery, with just enough sugar to feel like you’re having a treat. The vanilla macaron was a delight, too; crisp and chewy, resting on a bed of homemade raspberry jam. Sadly, the Irish Car Bomb cupcakes were less successful–perhaps I was biased though, as I’d just written a piece on Cocktail Cupcakes a few days prior to the tour. My standards were high. Thanks for the easy segue, Hal. No problem, Hal. 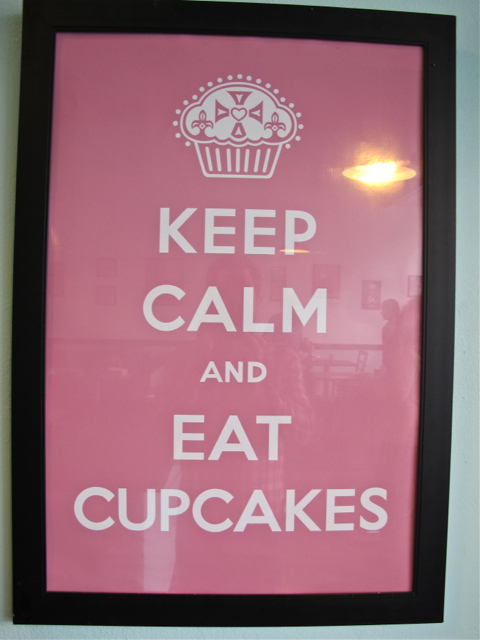 I’d written the Cocktail Cupcake article on Dozen Bakeshop, which happened to be the second stop of the tour. We were treated to pumpkin gobs (delicious! ), apple-cinnamon pop tarts (you’ll never eat a processed pop tart again after having one of these), an assortment of mini-cupcakes (buttercream frosting happy happy), and a cleverly designed push-up cupcake pop (clearly intended for small children, but the frosting had way too much bright food coloring and it creeped me out). I’m really happy Dozen is starting to find its way again. It closed abruptly last summer, shocking many people in both Lawrenceville and the rest of the city. Although the cupcakes were often dry (they’ve improved quite a bit under new head baker Lindsay Headley), their presence in the community was missed during the time they shuttered the store. It’s a wonderful place to sit with a cup of coffee and pastry, especially on a winter afternoon. Glad you’re back, Dozen. 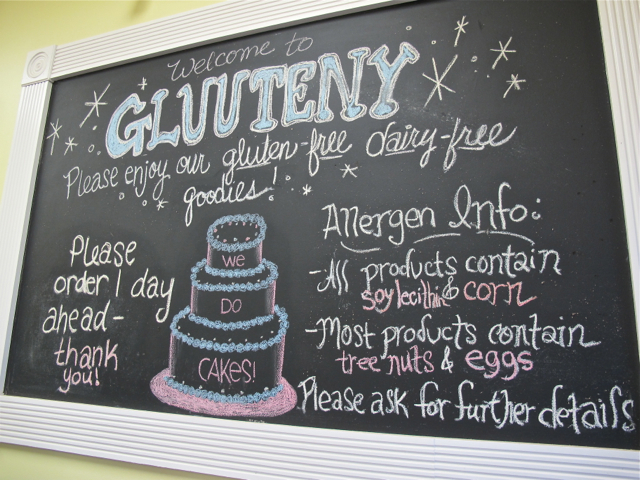 The final stop on the tour was Gluuteny, a gluten-free and caesin-free bakeshop. I want to like this place. I really do. I feel horrible for people who have a gluten intolerance (an actual one, not one that was diagnosed by a lazy doctor following a health scare trend). No bread? No cake? No PIZZA?!?! This is a terrible thing. So when a company decides to try to add bread-like food back into people’s lives, I hope for the best. And, for being gluten-free, this is damn good stuff. But it’s never going to be able to replace a cake made with wheat flour. Sorry. I must confess: I don’t have much of a sweet tooth. I’d much rather have a slice of pizza pie than a slice of chocolate pie (and I would indeed have pizza for dessert). Still, sugar shock aside, it was a lovely way to spend the afternoon. 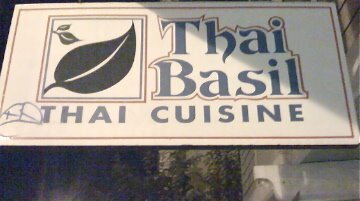 Thai Basil is a tiny eatery located in downtown Capitola, CA. If there was no sign on the outside, you’d probably just walk by, thinking that an old Thai lady was serving a few friends a meal in her living room/speciality shop. I really wasn’t sure what was happening when my friend led me into Thai Basil. It’s a tiny place. Five tables, I believe. One wall is covered in various imported sauces, all available for purchase. I assume that these sauces are the base for many of the dishes. Speaking of dishes, it’s pretty amazing that there is such a variety on the menu. Amazing because…this place is run entirely by one woman, Tan Manichanh. She takes your order, then walks into the kitchen an cooks it. I suppose that’s why there are only 5 tables! wasn’t available to throw into another dish! Overall, Thai Basil is a tasty, and unique experience. I’m looking forward to returning and jumping deeper into the menu. One thing to take note of- be prepared to spend some time here. Ms. Manichanh might be a great at making Thai home cooking, but, that’s what you’re getting, home cooking. Nothing is fast. She cooks each dish to order, so even if it’s just your party and one other, things are going to take awhile. It’s worth the wait. My family used to always go out for Sunday dinner when I was a kid. One of our favorites was to get Chinese food at Mandarin. It’s located in a large plaza in New City, New York. You’d never find it if you didn’t know it was there. When I visit New York these days, one of my culinary priorities is to rent a zipcar and drive 45 minutes to New City. It might seem crazy to some, for me, there’s no doubt about it. I have to have my Mandarin. Sure, there are many that would argue that there are ‘better’ Chinese restaurants, but I would be hard pressed to agree. Give me a this hole in the wall joint, serving Americanized style Chinese food any time. So what if they haven’t redecorated since I was 5. Next, roasted spare ribs. Notice there isn’t a picture above. I was so excited by the glistening pork goodness that I forgot to take out my camera. By the time I remembered, all that was left were a bunch of stripped bones, and a fat & greasy me! The ribs are roasted to perfection. They’re unglazed, allowing the natural sweetness of the pork rib to shine. Simply fantastic. My main course was chicken & broccoli. In my youth, the sauce was white. Once day, they switched to a brown sauce, and I was very sad. Since then, I’ve gotten over it, and then some. 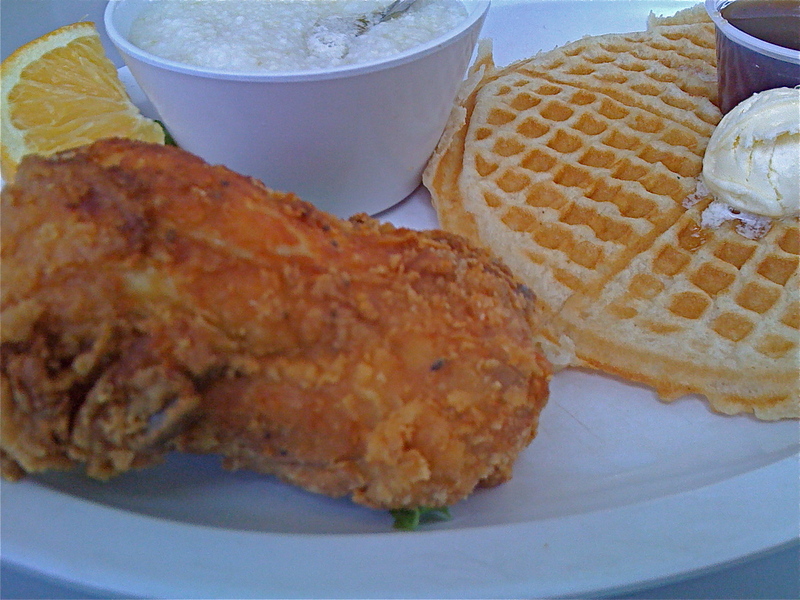 This is the dish I dream about, the dish that propels me up the Palisades Parkway. Pure happiness on a plate. The meal was finished with a fortune cookie (good things are coming my way!) and a nice cup of Chinese tea, smokey and strong. Good thing I brought a bunch back with me, writing this made me crave more! I’m in New York City to work on a pretty nifty film called, Stuck. Due to jet lag and the need to reorganize my apartment, I haven’t had much time to cook/write. Don’t worry, exciting new things coming soon. I will say this about food, though. I’ve eaten an insane amount in the last 48 hours. 45 pizzas, 13 servings of Chinese food, 72 egg sandwiches, and, look for me to eat about 150lbs. of corned beef and pastrami tonight. Seriously, there are some places in the world where all you can do is eat. Then there’s New York City, where all you can do is eat, and then somehow find time to eat more. Did I dream about bagels last night? Yes, yes I did. You’ve probably never heard of Chef John Downey. This is by design. If he had wanted to, he could easily have been at the forefront of the local foods movement, revered in the pantheon of great California chefs as much as Alice Waters. Instead, Chef Downey decided to focus on perfection. I’m glad he did. 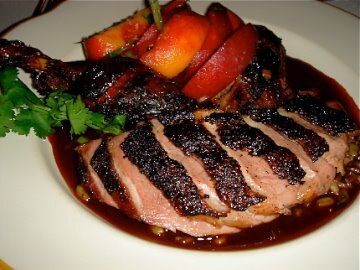 Downey’s, his namesake restaurant located in downtown Santa Barbara, is simply amazing. Chef Downey and his charming wife Liz have run the place for 26 years. 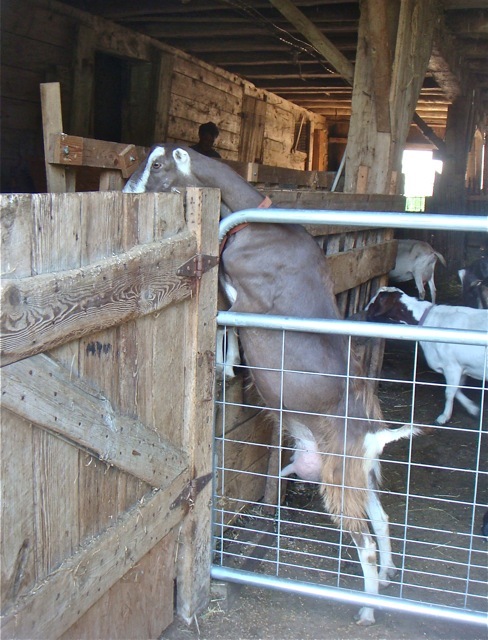 From the start, Downey has been sourcing his food from local producers. Unlike ego driven chefs, Downey, quite correctly, gives much of the credit for the taste of his food to the growers. They’re even mentioned on the menu. In keeping with his philosopy of delivering the most delicious food availibe, the menu at Downey’s changes daily. 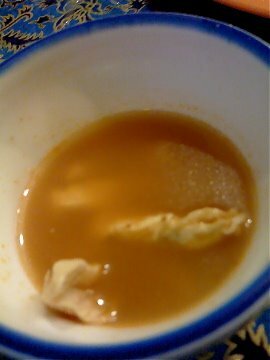 While this might lead to a slight disappointment, if, say, you were eying a fresh tomato soup online all week, only to find it wasn’t on the menu the night you went, this is quickly overcome when put the first bite of food into your mouth. For me, that was the house-made prosciutto. Served over sliced cantaloupe, with a light ginger-lime dressing, it was simply fantastic. The salty, herbed pork connected wonderfully with the ripe fruit. This is the stuff that makes Italian ministers tremble with fear. From that moment, it was a parade of amazing. Garlicky artichokes, roasted duck with perfect sauce and grains, swordfish (not for me! Those who had it loved it, though), peach chutney. Even the side vegetables were prepared perfectly. A bottle of lovely Cabernet from our friends at Chateau Montelena accompanied the feast. We ended the meal with many desserts, the peach melba being a standout. This was a terrific meal. One of the best I’ve ever had. Chef Downey deserves all the praise in the world. If you’re ever anywhere near Santa Barbara, you owe it to yourself to eat at Downey’s.